Can you believe it’s been 30 years since Blow the Fuse began running a regular jazz night in the theatre at the Duke of Welly on the Balls Pond Road in 1989? Since then there’s been The Happening, Emma Peel Fan Club, Electric Landladies, the Kings Head Theatre, Samuel Pepys, the old Vortex, the new Vortex, 14 album releases and then ARQ won Jazz Ensemble of the Year in 2018. Children have been born and grown up, family members have passed away, many dear friends have gone from this life and still the music plays on. 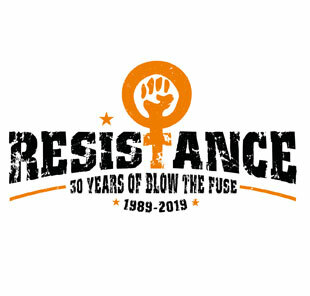 With all this in mind and with a nod to our slightly ‘electric’ name, our new season is called ‘Resistance.’ Yes, Blow the Fuse is like a movement. 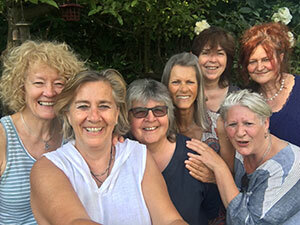 Despite the vagaries of funding from different bodies which have left us high and dry so many times, we know we have the most wonderful followers, friends and fans. We could not have continued all this time without your support and we thank you from the bottom of our hearts! We announce with very heavy hearts the death of Debbie Dickinson. She was a close personal friend, our ’Seventh Sister’ in The Guest Stars and a great supporter of Blow the Fuse. 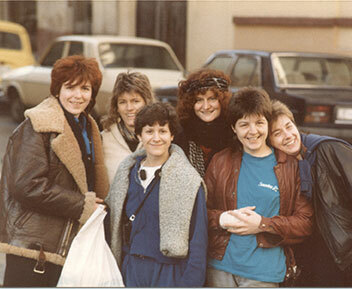 We knew Debbie for nearly 40 years. From the days of the Sisterhood of Spit, Sunday nights at the Kings Head, and as the manager of The Guest Stars she toured the world with us. She was a strong, brave, funny and intrepid woman who was greatly loved by all of us and who will be sadly missed by the larger jazz community, her partner Lorraine and her friends, colleagues and students at City University. Feeling your warmth and seeing you smiling on us still….we miss you.